Are You Tongue Tied? Would You Benefit From A Lingual Frenectomy? TEST YOURSELF: Open wide! Now while keeping your mouth wide open, see if you can touch the roof of your mouth with the tip of your tongue. If you can't, this variation of normal is referred to as "Ankyloglossia" or being "tongue-tied". If it is significant enough I sometimes recommended having a procedure called a lingual frenectomy done to improve the range of motion of the tongue to allow the teeth/jaws to spontaneously improve and resume more ideal normal growth. There is also a long-term benefit in promoting long term improved stability after braces. The tongue is one of the important muscles that influences the alignment of growing teeth. If it is restricted in its range of motion the upper jaw may develop narrower than the lower jaw causing the back teeth to bite incorrectly in what is called a "crossbite". It may also not push on the back of the bottom front teeth hard enough to balance the pressure from the lower lip, causing them to crowd and twist. In significant cases, a lisp in speech may be audible which frequently improves the same day as the frenectomy is done to correct it. Below are before and after pictures of Luke, a 7 year old boy who had a moderate case of ankyglossia (tongue-tie). Because the patient's lower front teeth are tipped backward, the lingual frenectomy allowed the tongue the freedom to rest against them a little harder and push them outwards. The pressure that the tongue naturally places on the front teeth is minimal but constant, which encourages the teeth to shift forward and improve their positions. In this case, the lingual frenectomy was performed with a laser, which resulted in the patient leaving the office with little discomfort, no stitches and no bleeding. One half hour after the procedure, the patient was happily enjoying ice cream and then went to baseball practice. a slight itching sensation as the tongue healed. The healing continued throughout the next week with no real discomfort and a minimal itching sensation for about two days. By the end of the second week, the area was completely healed and there was little noticeable evidence that the procedure had taken place. The cells of the mouth completely renew themselves every 2-3 weeks, so there is no scarring. Insurance and Braces - Are You Covered? 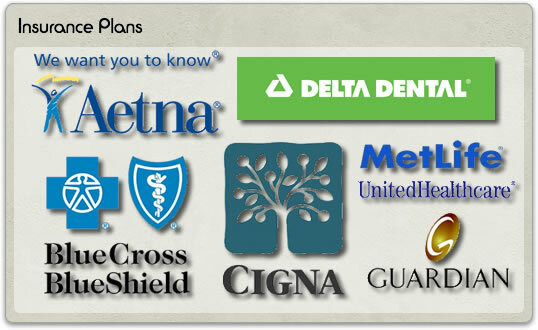 As anyone with braces can tell you, orthodontic treatment can be very expensive, but dental insurance can help. The trick to getting the most out of your insurance begins with understanding how orthodontic insurance works. To begin, there are usually limitations on how much orthodontic coverage a person is eligible for. Typically, coverage is limited to 24 months of treatment with an HMO. HMO's also have limitations on which doctor you can see, as they will not pay for treatment if you do not go to one of their participating providers. Fortunately, Dr. Eder participates with most of the major companies and is experienced in jumping through their hoops, to get the most benefit for the patient. This often includes sending in a pre-authorization request before the patient begins treatment. PPO's on the other hand, usually have Lifetime Maximum payouts. What this means, is that they will only pay a limited amount towards braces, throughout the patient's lifetime. The most common lifetime maximums offered range from $1000 to $1500, but there are plans out there that will pay as little as $500 to as much as $3000. 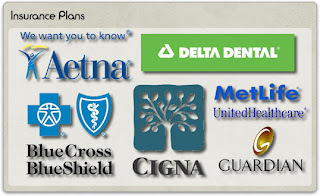 With a PPO plan, you do not have to see an in-network dentist, but you probably won't receive the discounted rates that participating providers usually offer, and once you have used your benefit maximum, you are responsible for all outstanding charges. Both the PPO and HMO plans have fee schedules that participating providers must follow when treating patients covered by their respective plans. In most cases, there are some nice discounts, but depending on the plan, they may limit how often a certain procedure may be covered. Another nice thing about PPO's that differs from an HMO, is that a PPO will usually coordinate benefits with a secondary insurance benefit. Unfortunately, most HMO's will rarely coordinate benefits with another insurance company, unless they are the primary insurance and the PPO is the secondary insurance. So how do you know which insurance is the primary and which is the secondary insurance when you are covered by 2 insurance policies? With children, the parent whose birth date comes 1st in the year is the primary and the other subscriber whose birthday is later in the year is the secondary. Please note that this does not include the birth year, only the month and day. Which means that if mom's birth date is 6/5/59 and dad's birth date is 7/5/49, mom is the primary and dad is the secondary because mom has her birthday first in the year. There are also exceptions to be made when people share a birthday or when a court orders a certain parent be responsible for primary coverage. When referring to adult coverage, if you have coverage through your employer, you are the primary and your spouse's insurance is your secondary insurance. To complicate matters even further, insurance companies may also include a non-duplication clause, which will limit what the secondary insurance pays. In most cases, it means that the secondary insurance company will not pay more than the primary insurance company will pay. So if your primary insurance coverage is for 50% of a procedure up to $1000 maximum and your secondary insurance company benefits are the same 50% up to a maximum of $1000, then the second insurance company will not pay anything towards the procedure. However if the secondary insurance coverage is 80% up to a maximum of $1000, then you should get the benefit of the extra 30% coverage and the secondary company should pay an additional $300. There are many other situations and clauses that may arise when dealing with dental insurance and orthodontics in particular. One of the main concerns that many people have, has to do with is how and when the insurance company pays for orthodontic treatment. 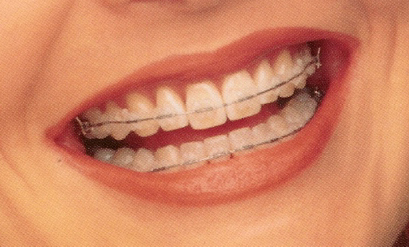 In 99% of the cases, the insurance company will pay for their share of the orthodontic treatment throughout the period that the patient has braces. So if the patient is scheduled to have braces for 24 months, the insurance company will make payments to the doctor, spread out throughout the 24 month period. Unfortunately, this means if you cancel your insurance or lose coverage before the braces are scheduled to come off, the primary subscriber (or patient) is now responsible for paying the doctor whatever amount the insurance company failed to pay. If you are interested in finding out about your insurance benefits, it is often best to speak to your Human Resource office at your place of business when possible. If it is not possible, I recommend calling the customer service number on the back of your insurance card and asking them to explain your benefits. However, please remember that these customer service representatives are human and can make mistakes, and they will remind you that all benefits quoted over the phone are not a guarantee of coverage. With that said, at Dr. Eder's orthodontic office, we pride ourselves in going that extra mile to help you understand your coverage. To set up an appointment for a Free Consultation, and to have your insurance questions answered please call (561) 737-8776.